We offer a variety of discount on class prices. Please call or email the studio to apply a discount to your final class amount. Enroll in Summer Camp &/or Summer Classes by January 15th and receive 10% off tuition price! ​Enroll in Summer Camp &/or Summer Classes by February 1st and receive 5% off tuition price! Enroll in Fall Session by June 1st and receive 10% off tuition price! Enroll in Fall Session by July 1st and receive 5% off tuition price! Families receive 5% off tuition price when enrolling more than one child or immediate family member in our classes, camps & parties! Seniors ages 65+ receive 10% off tuition price when enrolling in our classes, workshops & parties! Ask about our school and non-profit discounts on Arty Parties and Event Space rentals! Receive 5% off tuition price when enrolling in multiple weeks of Summer Art Camp. 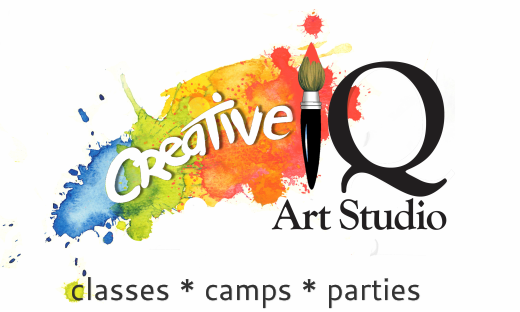 Receive $5 off Creative IQ classes, camps and parties OR a $5 credit toward art supplies for EACH NEW STUDENT you refer to our program when they enroll in a FULL SESSION of 12 classes, a full week of camp OR book a 3 hour "Arty Party". No limit to number of referral rewards! Referral Rewards can be combined with other discounts and deals. Note: Buyer must mention referral reward recipient at the time of purchase. Receive $20 toward supplies after enrolling in 4 consecutive sessions (when enrolled in FULL 12 class sessions). Offer only applies when requested by customer after enrollment in 4 consectutive full sessions. This is for supplies only and does not apply toward tuition. Half Session: Receive the half semester price per class when enrolling in 6 or more classes within the same session. Full Session: Get the BEST VALUE on price per class when you enroll in a Full Session of 12 classes! Receive 20% off retail art supplies at Creative IQ for all students (& their families) while registered in Creative IQ classes, camps and parties (during the same session as most current registration). NOTE: No art supply purchase is necessary for participation in classes, camps or parties. All supplies are included in classes, camps & parties (at the teachers discretion), unless otherwise posted or notified. Contact us to request your discount code today! Offers good while availability lasts. Sibling Discount, Multiple Week Discount, Early Bird Specials & other discounts or offers cannot be combined. Discounts only honored when mentioned by buyer at time of payment. Please mention discounts when making a purchase.